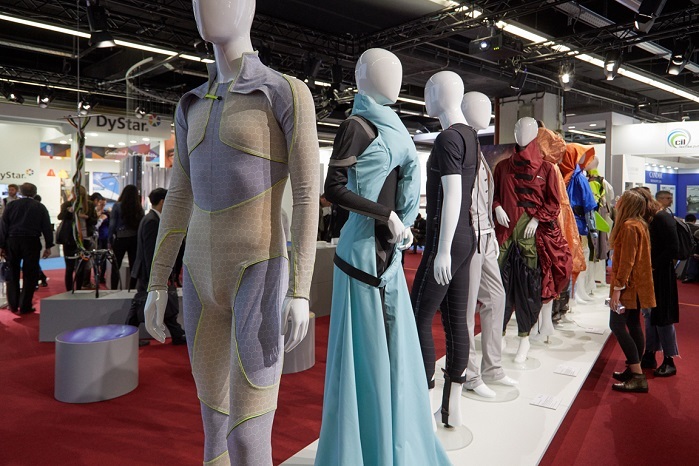 It was more than evident at last week’s Techtextil show in Frankfurt that the development of new reinforcement fabrics for composites is now a major driver for the technical textiles industry. The main thrust of the special Living in Space display at the Frankfurt event chimed perfectly with the composite industry’s current preoccupation with lightweighting, since while reducing emissions may not be number one on the list of priorities for space travellers, the need to shed weight and maximise energy are more important than ever. It’s for these reasons that heat and deformation-resistant carbon composites are already extensively employed as components in space capsules and fuel tanks, as well as the folding antennae of communication satellites, which can be as much as 30 metres in diameter when opened. They will also form critical parts of the Ariane 6 – the new rocket for Europe for which the final €1.7 billion tranche of R&D funding was agreed on last December by the European Space Agency (ESA) with Airbus Safran Launchers. The European-built Ariane 5 is still the dominant rocket in the market for big commercial satellite launches, but this position is being challenged by a new wave of US offerings, in particular from California-based SpaceX. Replacing the Ariane 5, the 6 crucially aims to cut current launch prices in half and its strap-on, solid-fuel boosters will have carbon-fibre casings which will be made at plants in Italy and Germany. Many boosters will be required for the Ariane 6 and Rome-headquartered Avio will be heavily involved in their production. Since the 1970s, the improvement of structural components for solid rocket motors has been focused on the potential use of composite materials as an alternative to conventional metallic parts. 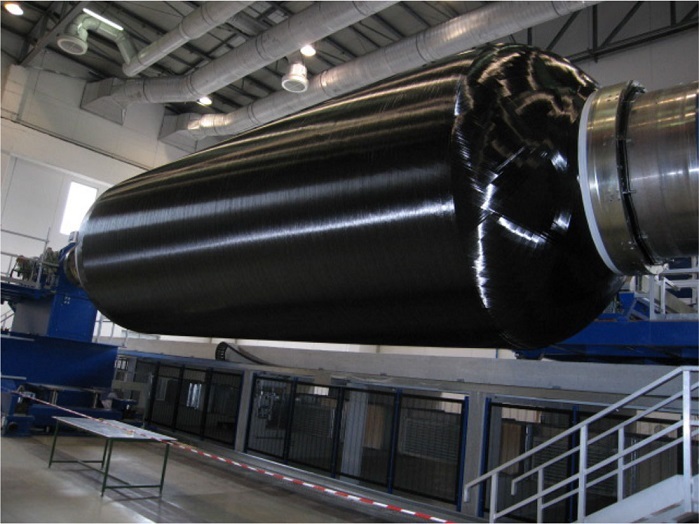 Since then, Avio has gained much experience in the field of filament winding technology to enhance the unique properties of carbon fibre composites in terms of strength and lightness. Composite cases are the baseline for future launcher development, the company says, and the company’s filament winding technology is well suited for solid rocket motors that require higher temperature performance limits, lower void content, increased mechanical properties and reproducibility. This is just one ongoing development involving composites in aerospace projects. The Techtextil Live in Space showcase was created by Messe Frankfurt in co-operation with ESA and DLR, the German Aerospace Centre. 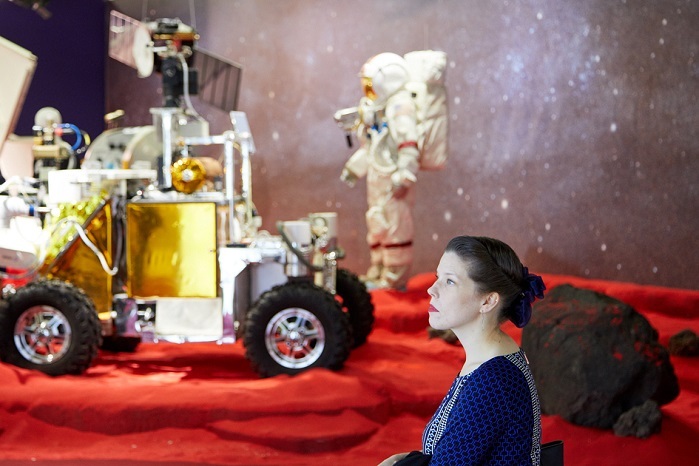 It featured an original Mars Rover and ESA and DLR space suits, as well as an Ariane 6 casing and a carbon composite robotic arm, along with a host of other exhibits housed in a special lightweight pavilion. This ‘Space Habitat’ consisted of 60 individual aluminium modules covered with a PTFE fabric specially designed by Swiss-headquartered textile architecture specialist MDT-tex to be extremely light weight without sacrificing high temperature resistance. High performance fabrics on display ranged from warp-knitted metal mesh photovoltaic panels developed at RWTH Aachen in Germany, to the extreme insulation materials made by BWF Protec, consisting of multi-layered needlefelts of PBI aramid fibres for extreme performance in terms of temperature resistance and strength. Not surprisingly, a range of multiaxially-knitted materials were displayed, and machine builder Karl Mayer included its own 150gsm fabric which can be employed as the basis for high performance composite parts that are extremely durable. “Carbon fibre is expensive, and initially, what was important was to minimise waste, while speed was not so critical,” he said. “As the industry progresses, however, output has become much more significant, and in many cases, quality control is much more important when it comes to aerospace and automotive applications where there are very strict requirements. There is now a need for the whole manufacturing chain to work together to ensure the ultimate consideration is the final part, added product manager Swen Petrenz. Increasingly, more fibre and yarn manufacturers are also looking to the composites sector with specialised offerings. Dyneema’s new Dyneema Carbon and PHP’s Enka TecTape, are just two examples that were displayed in Frankfurt. 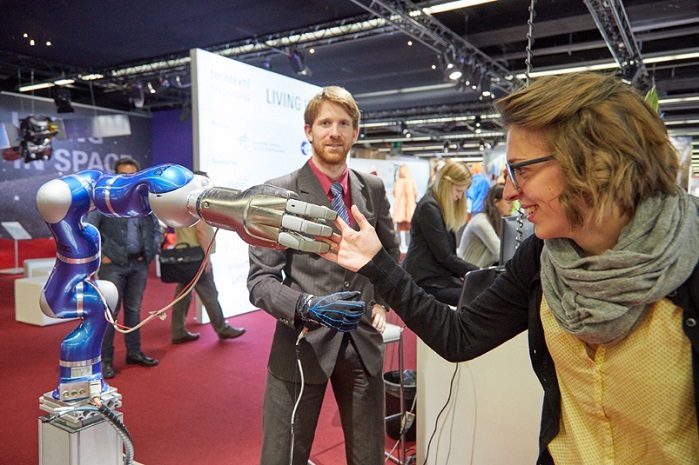 Techtextil, along with the Texprocess show for apparel and technical textiles making up processes, was held in Frankfurt from May 9-12 and attracted a record 1,789 exhibitors, drawing more than 47,500 visitors to Frankfurt over four days – up 14% on the last two events in 2015.